Midtown Alliance weighs in on a proposed ordinance by City Council that seeks to regulate scooters and other dockless mobility devices. As the City of Atlanta moves to establish regulations on dockless, shareable scooters and similar devices, Midtown Alliance submitted a recommendation letter last week that prioritizes safety for pedestrians on sidewalks and advocates for prioritizing the creation of connected networks of multi-modal lanes on streets that would function similar to bike lanes. Midtown has become a center of activity for these new forms of micro-mobility. “We believe that electric scooters provide a much-needed last-mile transit option for Atlantans, but we’ve also witnessed firsthand the safety challenges that come with it,” said Midtown Alliance CEO Kevin Green. A primary challenge is conflicts on sidewalks between riders and pedestrians. 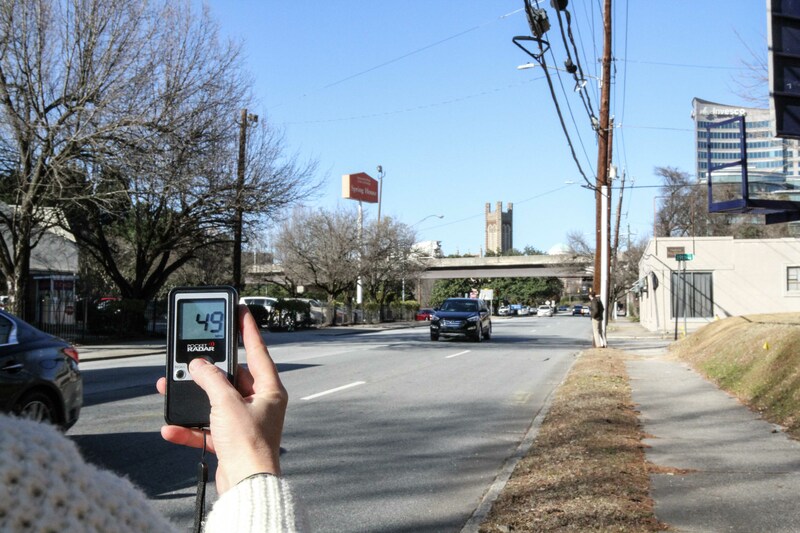 Given the speed differential of a scooter operating at 15 mph and a person walking, getting scooters off the sidewalk is a critically important safety measure, especially in dense pedestrian areas like Midtown. "We've seen and heard accounts of many close-call incidents involving scooter riders and people walking," Green added. Other highly visible problems include improperly parked or fallen scooters blocking sidewalks and wheelchair accessibility in the public right-of-way. The comments to policymakers from Midtown Alliance also emphasize directing private mobility companies to innovate for better safety and regularly report on their progress. For example, riding on the sidewalk is currently illegal, and this is further underscored in the draft ordinance. But with thousands of devices and riders in the city at any point in time, it is unlikely that the City will ever have the resources to enforce the "no sidewalks" rule to any reasonable degree. While both Bird and Lime discourage riding their scooters on sidewalks, the magnitude of this challenge also goes beyond what is likely achievable through public education efforts. “In the near-term, this sidewalk problem needs a technology solution, and the mobility companies are the only ones who are positioned to bring one forward,” reads the Midtown Alliance recommendation letter. Potential solutions include companies automatically controlling both the speed and ability to operate their vehicles based on location, sensors that recognize when a device is being operated on a sidewalk, geo-fencing certain areas as off-limits where riders won't have the ability to operate their scooters, or the scooters can only operate at something closer to walking speed. Read the full letter from Midtown Alliance here. 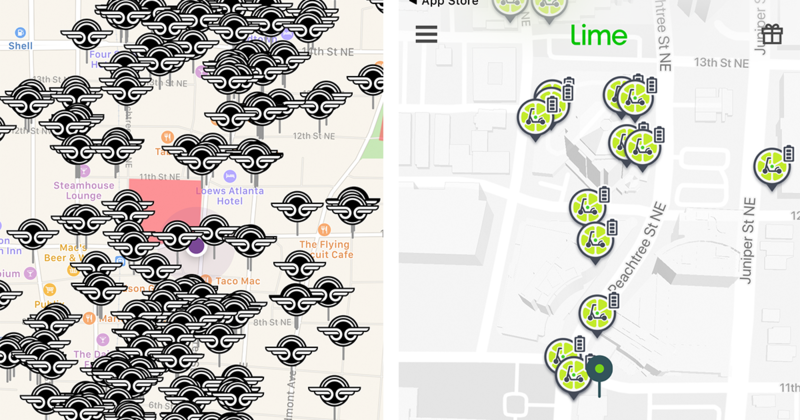 Side-by-side screenshots of Bird and Lime maps show the wide proliferation of electric dockless scooters on the streets of Midtown. A new ordinance could potentially cap the number of shareable dockless mobility devices operating in Atlanta. Since their arrival on the scene in May, Atlanta has become the second largest “scooter city” behind San Diego with 1,500 Bird scooters in circulation. Each Bird scooter takes four to five trips per day, according to a Bird spokesperson, who cited that three or more trips per day indicates room for growth in the market. During the public comment portion of the Nov. 13 meeting at City Hall, community members voiced their feedback and concerns on the “shareable, dockless mobility devices” and their effect on pedestrian safety, crowded sidewalks, and the future of transportation in Atlanta. “I would hope that you can find a new place for them besides surprising people on sidewalks,” one constituent told the Council. Another speaker complained that the scooters posed a tripping hazard, while another remarked that he enjoyed having the scooters as a transportation option for short trips. Sally Flocks, the president of PEDS, which advocates for pedestrian-safe streets and sidewalks in Atlanta, offered her support of the scooters while emphasizing the importance of pedestrian safety on sidewalks. “We need to put more money into Complete Streets. Scooters and bicycles belong on the roads,” Flocks said. You still can’t ride scooters on the sidewalk. But you can use the scooters along shared-use paths at city parks and, yes, on the BeltLine. In addition to having a business license through the City of Atlanta, private mobility companies will need a Dockless Permit, which comes with a $12,000 fee for a fleet of 500 devices, with the ability to permit more for a price. The ordinance includes an equity stipulation that requires the mobility companies to provide access options for people who don’t have smartphones or credit cards. The scooters can’t exceed speeds of 15 miles per hour. 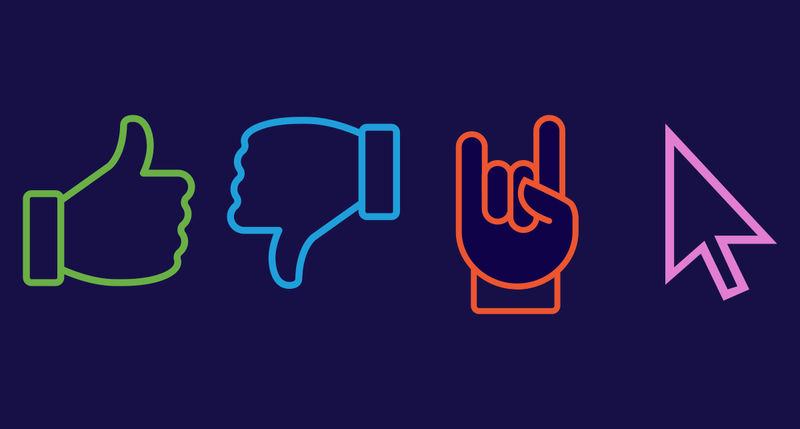 The ordinance refers to “shareable dockless mobility devices” which includes Bird and Lime but leaves the language open to include any future shareable dockless electric bikes, scooters, skateboards, hoverboards, or mobility devices. The ordinance states that administrative regulations will be drafted separately to deal with important issues including fleet size minimums and maximums, identifying designated parking areas, equity considerations and more. 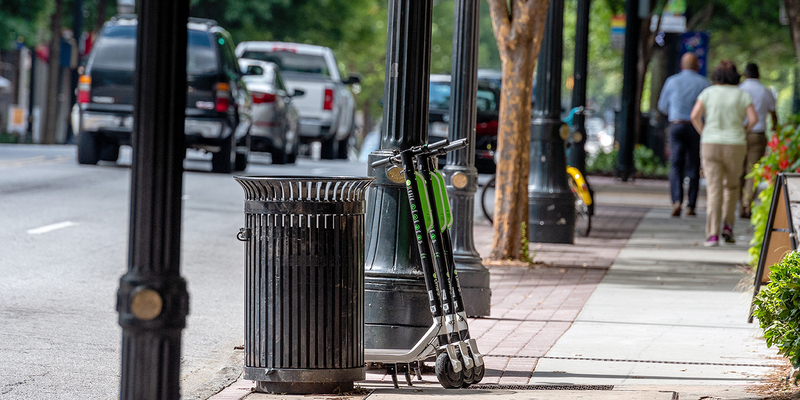 Early-May - Bird scooters landed on the streets of Atlanta, heavily focused on Midtown and Downtown areas. Ofo bikes arrive soon after. June - Lime, which previously focused on shareable bikes, introduces its fleet of shareable scooters in Atlanta. That same month, bright yellow Muving electric mopeds arrive. Mid-July - Ofo pulls its dockless yellow bikes out of Atlanta. Sept. 25 - City of Atlanta public safety committee releases the proposed ordinance for “shareable dockless mobility devices” for public comment. Dec. 3* - Ordinance is scheduled to be presented at the full City Council meeting for final review and vote. Jan. 1 - Approved final legislation goes into effect. *Date may change if more deliberation is required. Read the full recommendation letter from Midtown Alliance here.